The National Dredging Museum is based in a beautiful historic building situated along the Molendijk in Sliedrecht. The museum is unique and offers the opportunity to learn about the past and present of dredging where it all started, in the cradle of Sliedrecht. The core of the permanent exhibition consists of historical and modern scale models of dredging ships and equipment. These are augmented by a wonderful collection of old prints, photographs and drawings. Throughout the museum you will also find objects which were dredged up, from cannon balls to clay pipe bowls. The film screening room offers a wide variety of dredging films, from the Dutch Zuiderzee Works dredging project in the 1920s to Dubai’s Palm Islands in the 21st century. There is a lot to see and do in the National Dredging Museum for young and old alike. We look forward to your visit. It is possible to pay by debit card. During Dutch school holidays (region: the centre of The Netherlands) we are also opened on Tuesday 1:30pm – 5pm. We are closed on official national holidays. Groups are able to visit the museum outside of opening hours, after making an appointment. The Dredging Practice Garden is opened on Saturdays (1:30pm – 4:30pm) between April 1 and November 1 and also during Dutch school holidays (region: the centre of The Netherlands). In 1958 W. Bos formed the idea to launch a museum about the town of Sliedrecht, including its dredging connection, in the former town hall in the Kerkbuurt area. This was met with a lot of enthusiasm by both businesses and the local population, and as such the town hall was purchased in 1962. 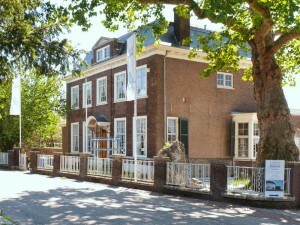 After some restoration and interpretation the ‘Sliedrecht Museum’ opened in 1964. The collection grew so much over the years that Professor Bos thought it sensible in 1971 to start a separate museum focusing entirely on the dredging industry. Both businesses and individuals were prepared to finance this idea, and within a year all was set in place. Everything to do with dredging was moved from the Sliedrecht Museum into a different building on Molendijk 16. On 23 June 1973 the new dredging museum was opened by H.T. 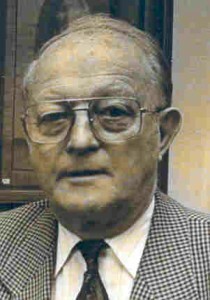 den Breejen, who was the head of the Vereniging Centrale Baggerbedrijf (Central Dredging Association). In 1974 the building on Molendijk 204 became available when its last inhabitant passed away. This building had belonged to the Volker family (a well-known dredging family) and as such was perfect for the Dredging Museum. It was possible to rent the building from the new owners, the Dredging Society (now the Society of Friends of the National Dredging Museum). A few alterations later, the collection could be moved in and the new dredging museum was opened in 1976 by A.G. Maris, former director-general of Rijkswaterstaat (part of the Dutch Ministry for Infrastructure and Environment). In 1978 the Koetshuis (coach house, so called because of its façade decoration) was restored. It was equipped with a water tank, which enabled the showing of working scale models. Two years later Molendijk 208 was purchased, which was the former offices of the Koninklijke Maatschappij to Uitvoeren van Openbare Werken Adriaan Volker N.V. (the Volker family business). In 1982 this building was officially used as an archive and library, and the current offices of the Dredging Museum are also housed here. In 1995 it was time for another extension to the museum, again thanks to the contribution of many businesses. The extension behind Molendijk 204 houses a large entry space, a coffee parlour, toilets, a film screening room and a great space for changing exhibitions. Thus was the National Dredging Museum able to grow to a truly unique museum, with no small thanks to the efforts and hard work of the many volunteers, donors, patrons and funders.